Please note: This review is for the third book in the Under the Never Sky trilogy, and so contains spoilers for the first two books. You may wish to read my reviews for Under the Never Sky or Through the Ever Night on The Oaken Bookcase, or Leila’s Under the Never Sky review instead! 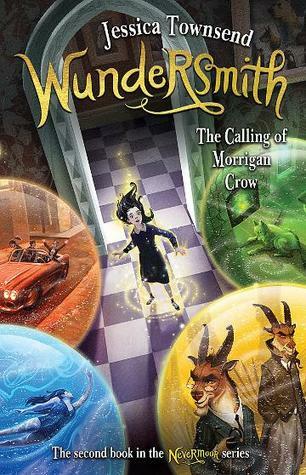 I read the first two books in this trilogy early last year and loved them. It’s been a long wait for the conclusion to Aria and Perry’s story, and after being disappointed with the end of the Divergent trilogy I was a little worried about this one, but thankfully it mostly lived up to my hopes. Things are in a bit of a mess at the end of Through the Ever Night – Perry has assumed the chain of the Tides Blood Lord, Aria and Roar have returned from their journey to the Horns’ city, and Sable, the leader of the Horns has joined forces with some of the Dwellers from the pod city of Reverie to try to find a way to the Still Blue. The aether storms are getting worse all the time, but the only way out lies with one young boy, currently being held by the enemy. The character relationships have become a lot more complex and they are what makes this part of the story great. Aria and Perry are so much in love that its almost painfully sweet at times. I still love Roar the most though. It’s difficult to see him going through such hard times. I’ll be very interested to see what Ms Rossi gets up to next, simply because I am in love with her characters! 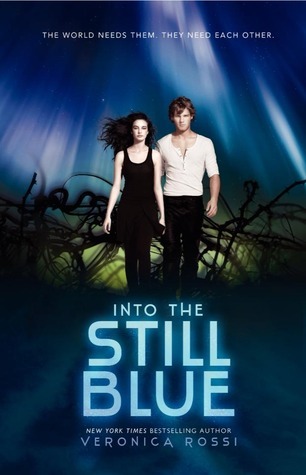 In all, Into the Still Blue was an exciting and satisfying conclusion to this excellent trilogy. I’d recommend the series to anyone looking for a fresh post-apocalyptic adventure with lovely romance and high-stakes action. Yeah, I felt a bit let down by how much we get to find out about the rest of the world and what exactly the aether is.. but I guess that just adds to the primitive feeling of the “new world”.